Efteling receives almost 5 million visitors a year. The park is well-known for its guest service and hospitaity and we like to share this knowledge. The focus on customer service comes up during various masterclasses. We do this to inspire companies and to give them tools that will help them to translate Efteling's vision to their own organisation. 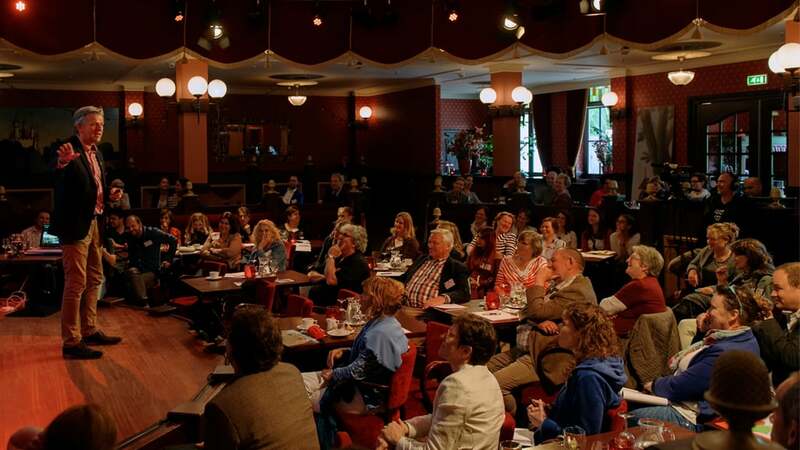 These masterclasses take place at Efteling and are given by speakers who work at Efteling and/or professors from TIAS Business School. We can put together bespoke masterclasses to cater for different companies. 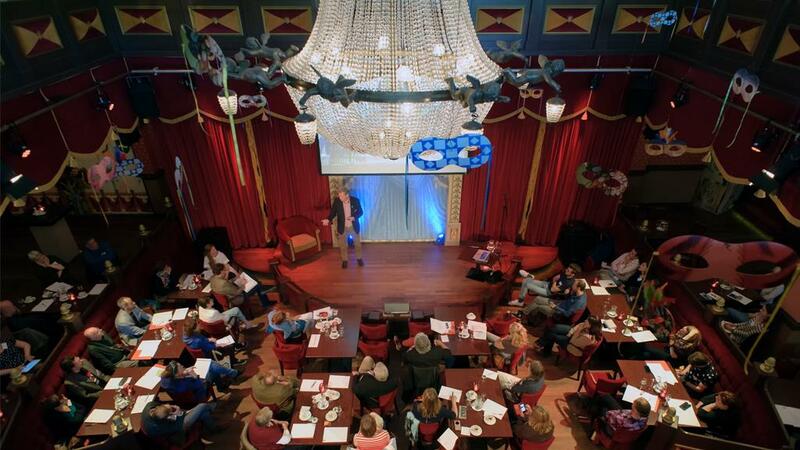 In mid-May, about 100 participants were inspired by Masterclasses that were given by various Efteling speakers. During walks through the park, they also inspired each another, experienced a spectacular ride in Baron 1898 and ended the day with the water show Aquanura. The Walking Masterclass is given in Dutch, English, German and French. On this video, you can have a look at the Dutch Walking Masterclass. 1. Training course: WANTING to be customer orientated, daring to look in the mirror! This training course allows customer orientation to penetrate into the core of your business, so that your employees are the key to this success. The target is to make them aware that they want to be customer orientated. They will have made agreements about how to mutually guarantee customer orientation within their department or organisation. Depending on your targets and wishes, we offer a 1, 2 or 3-day training course. 2. Inspiration session: WANTING to be customer oriented, a personal choice! Especially for you, during this inspiration session a sneak peek is given about customer orientation. We take you along to the Efteling Theme Park Resort where customer orientation is a philosophy which has penetrated to the DNA of the organisation. Participants are taken along to an enchanting moment during which we show you that we think in terms of concepts instead of products. Attention is also paid to behaviour whereby 'yes, but...' is transformed into a positive thought. The inspiration session lasts 2.5 to 3 hours. 3. Workshop: WANTING to be customer orientated, daring to dream! Actively engaging your participants with the subjects which are most important to you? That is possible! Efteling is the best place to feel and experience customer orientation, and to become inspired. Think, for example, about the workshop ‘writing fairytales’ or a treasure hunt in the Fairytale Forest. Or what do you think of speed dating whereby the participants ask any and all questions about ‘how customer orientated are you, actually’? We are happy to help you think about what best fits your objectives and group size. Ideas will be bundled, and participants will inspire each other in such a way that they will be committed to realising these ideas together. The workshops are led by so-called Efteling Masters of the Keys. Max. number of persons per workshop: 12. The average duration of the workshops is 2 to 4 hours. WANTING to be customer orientated: let yourself be touched! During these inspiring lectures we reveal how you can create an organisational culture in which people want to work in a customer-oriented manner. 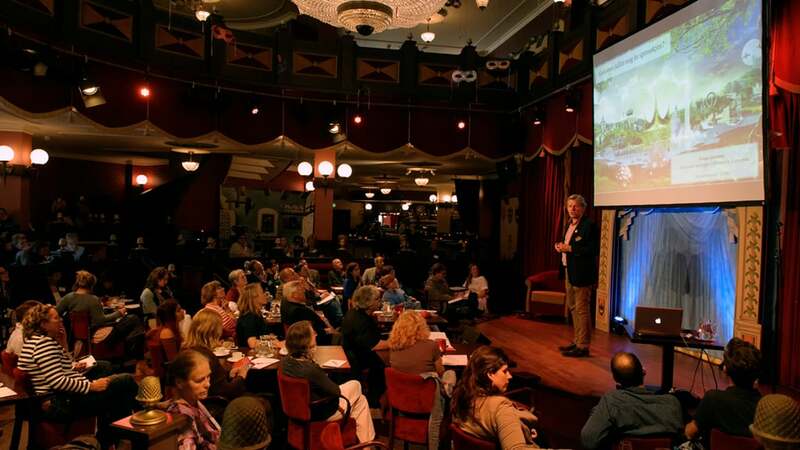 WANTING to be customer orientated: a different look at your subjects through the past, the present and the future of Efteling, your group is presented with subjects known to you, applied in the Efteling Theme Park Resort. The original view of these subjects offers refreshing inspiration for every business sector. Speakers pool: Over recent years the requests for sharing the vision and knowledge of Efteling, regarding for instance guest orientation and storytelling, has increased. In order to meet this demand, Efteling has established a Speakers pool. It is now possible to make use of an Efteling speaker to inspire companies and to learn more about the Efteling vision. 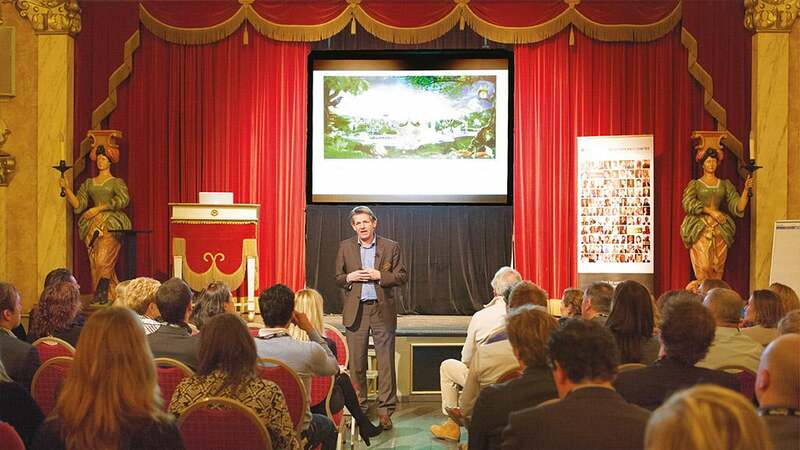 The Speakers pool consists of a team of inspiring Efteling employees who share the Efteling philosophy with companies, from the basis of their professional field and expertise. Efteling and TIAS Business School have started a unique cooperation to achieve a higher standard for Efteling's customer orientation training courses. The existing training course for companies has now been expanded with a more scientifically based version, in cooperation with TIAS. As the business school of Tilburg University and Technical University Eindhoven, TIAS detaches a professor to this masterclass. In this way, the specific case of a company can be handled at a scientific level during this masterclass. This co-creation of Efteling and TIAS generates more creativity and distinguishing capacity, and contributes to the knowledge development within companies in a unique manner. New house style, new product or a totally new vision for your-company? Present it during a kick-off meeting in Efteling.